Women’s World Javelin record holder Osleidys Menendez threw 65.86m and World Triple Jump silver medallist Yoandri Betanzos leapt a wind aided 17.13m, to provide the highest notes of the first two days (23/24 April) of the athletics competition at the 2nd National Cuban Olympics, which also serves as the Cuban National Championships. Menendez opened her series with 62.50 and then improved to 63.50 in the second round. 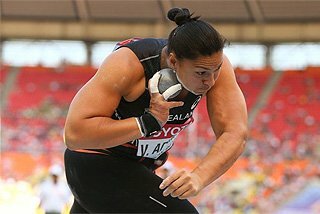 A massive 65.85 effort on her third attempt was enough to confirm her fine condition as she aims to recapture the form of 2001, when she became the first and still only ever woman to break the 70 metres mark with the new specification javelin, and then went on to claim the World title in Edmonton. "This competition fell in the week when we have a test after strength training. I feel very well and this mark shows we are on the right path and I just want to end the season in a happy way", said the 24-year old athlete, making a clear reference to her Olympic gold ambitions. “When we are in strength training, we can feel a little slow. I used a eight step approach, instead of my usual 12. I want to gain more confidence and be more competitive prior to Athens", she added after breaking Sonia Bisset's competition record of 62.60, set during the 1st National Olympic in December 2002. The 2000 Sydney Olympics bronze medallist has already had three outings over 63 metres in February-March, including 68.23, the furthest throw since August, 2001. Bisset, the 2001 World Championships bronze medallist and 2000 Grand Prix winner, was a distant second with 57.77, followed by Noraida Bicet (56.74). 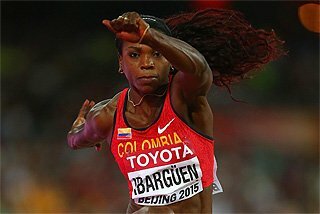 Colombia's South American champion and record holder Sabina Moya was fifth with 54.01. The men's Triple Jump contest has been so far the most competitive event at the Estadio Panamericano in eastern Havana. The deep field of 13 athletes included two World Championships medallists (Yoandri Betanzos, silver in Paris 2003 and Yoelbi Quesada, gold in Athens 1997), as well as World indoor record holder Aliecer Urrutia and Sydney Olympics silver medallist Yoel Garcia, returning to competition after a two-year absence following a shinbone surgery on his left leg. Paris fourth place finisher and 2002 World junior champion David Giralt, still recovering from an injury, was the main absentee. However, the competition found the Island's best in the first month of training after a short break following the indoor season. Pavel Laza, third in the 2002 National Olympics, was the first leader with a 16.50 windy effort in the opening round, but 2001 World Youth Championships bronze medallist Osniel Tosca replied with a personal best of 16.73. Betanzos and Quesada opened with fouls and followed with 16.39 and 16.45, respectively. Betanzos, third in the 2004 World Indoor Champs, took control of the event with 17.03 (1.4 m/s), which seemed to be enough for gold. Quesada landed at 16.80, also in the third round. On his best day ever, Tosca flew to 17.04 (1.3 m/s) to become the 16th Cuban to break the 17-metre barrier in the history of Triple Jump. After two fouls, Betanzos responded with a 17.13 (2.3 m/s) in his last attempt to clinch the gold medal. Quesada had an over 17-metres foul in the sixth round, and had to settle for third with his wind-aided 16.80 (2.3) best, followed by 18-year old Alexei Copello (16.52). Garcia was back in seventh with 16.24 (w = windy), while defending champion Urrutia only jumped 15.97w to finish tenth, two places behind 2003 World Youth champion Dennis Fernandez (16.12w). "I did not expect the competition would provide such good results. 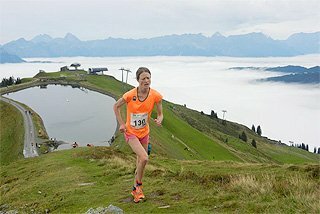 Most national team members are in general training, like me, with only four weeks of practice. I improved my best using a seven step run-up (16.84 to 17.13) and this means I can jump around 17.70 this season. 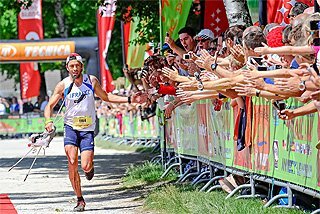 My debut in the European circuit is expected in last June in Spain," Betanzos stated. Asked about Tosca, his main rival in the competition, the 22-year old said that "I am very happy he jumped 17.04, which should be enough to enter the national team." Betanzos, the 2003 Pan American champion has won medals in all IAAF World championships he has entered, from the 1999 World Youth silver to the 2004 World Indoor bronze in Budapest. He was also second at the 2000 World Junior and the 2003 World Champs in Paris. Only the Olympic and World Cup medals are missing in his pedigree. In Tosca's opinion, "I just wanted to improve my personal best and try to make the national team. When I noticed my first two jumps were alright, I knew I could achieve that. I was already satisfied with 16.73, but I realised I could jump farther and luckily reached the 17-metre mark. Now I want to improve progressively and see how far I can go this year". This event marked his season debut after recovering from an injury in his right ankle. Tosca, who will turn 20 on June 30, thanked his current coach Nieves Acosta, who has helped him in his hometown of Santa Clara, some 270km east of Havana. Ecuador's Byron Piedra could not have had a better season's debut as he won the 800 and 1500m, setting national records in both events. The 21-year old South American cross country champion won the longer distance on Friday with 3:40.97, after going for a solo run from the 500m mark. 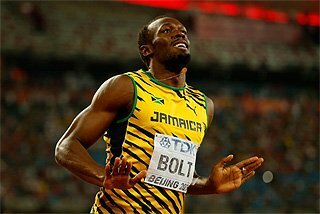 On Saturday, he took the lead after 500m, and held off his fast finishing rivals to cross the finish line first in 1:48.86. "Both my coach (Celso Cortés) and I are very happy. Our main aim is to meet the B Olympic standard (3:38.00) and fulfill my dream of participating in the Olympic Games, in Athens", said Piedra, a regular competitor in Cuba as he has raced five times here. He studies industrial engineering in his hometown Cuenca, where he trains with Jefferson Perez, the 1996 Olympic and 2003 World champion in the 20km race walk. 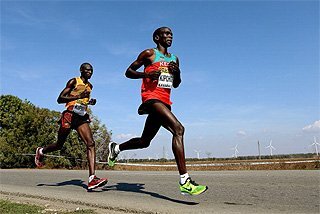 He is expected to face faster runners in the two Brazilian legs of the IAAF Grand Prix circuit in May. Venezuela won four medals, thanks to South American champions Ricardo Diez, silver in the Pole vault (4.80) and Yoger Medina, bronze in the Shot Put (18.09), as well as Manuel Gonzalez, second in the 800m (1:49.90) and third in the 1500m (3:49.02). Zulia Calatayud, the last woman to beat Mozambique's Maria Mutola at 800m (July 19, 2002 in Monaco), made a successful return to competition with a 52.07 second place finish in the 400m final, behind her training partner Lisbania Grenot (51.70). "I feel both happy and satisfied with my time. I enjoy racing so much and I know I can set higher goals this season. I will continue to run 400m and 1000m. Both distances are the perfect base to run 800m. I followed that strategy in 2002 and it worked out as I set my personal best of 1:56.09 that year", said the Sydney Olympics 800m finalist. Calatayud, 24, suffered from broken fibula in both legs and was out of competition since finishing fourth in the Madrid World Cup, in September 2002. Alberto Juantorena Jr. seems to have found the right discipline. The homonymous son of the 1976 Montreal 400-800m Olympic champion and IAAF Council member first tried the High Jump and then the 400 metres Hurdles. In the Decathlon, he has made substantial progress and he added more than 300 points to his personal best this weekend to win with 7769 points, aided by 2.19m in the High Jump, 7.39 in the Long Jump, plus 10.87 in the 100m and 4:34.69 in the 1500m.Yonelvis Aguila (7677) and Yosbel Gomez (7472) were second and third, respectively. 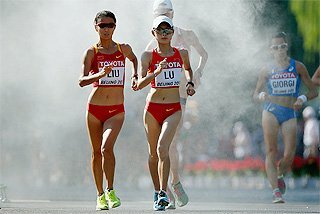 The first athletics champions were Aguelmis Rojas and Mariela Gonzalez, who won the Marathon on the opening day of the Games on April 18. 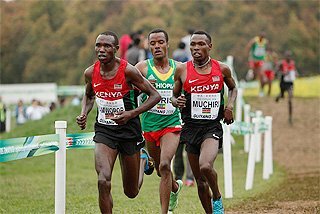 Both posted personal bests of 2:14:15 and 2:36:51, the fastest time on home soil, to meet the A standard and be eligible for the Olympics. They received their awards from Cuban President Fidel Castro during the opening ceremony. 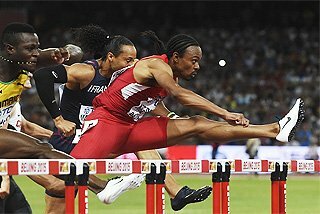 2004 World Indoor Championships finalists Yuniel and Yoel Hernandez offered a interesting duel in the 110m Hurdles, although they are still in the midst of general training towards Athens. Yoel led for the first 80 metres, but he hit the last hurdle and lost pace to finish second in 13.89, behind Pan American champion Yuniel (13.71). 2003 World Youth Champs finalist Dayron Robles was third in 14.07, while defending champion Carlos Patterson was disqualified due to two false starts. The women’s 100m Hurdles was taken by 2002 World Junior champion Anay Tejeda (13.16). Another hard-fought race saw Sergio Hierrezuelo dominate the 400m Hurdles in 49.57, closely followed by national record holder and defending champion Yacnier Luis (49.68). Guillermo Martinez, 22, also impressed with his win in the men's Javelin. 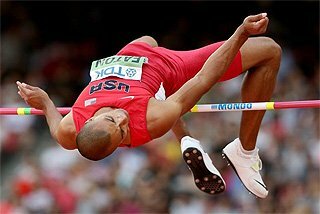 He had improved his personal best (75.90) by nearly six metres to 81.45 on April 1. On Saturday, he released the implement at 81.36 in the fourth round to beat 20-year old Anier Boué (75.54) and Emeterio Gonzalez (72.10). The new champion is very close to the A Olympic standard (81.80). Pan American champion Mabel Gay, a World Championships finalist in Paris outdoor (fifth) and Budapest indoor (ninth), won the women's Triple Jump in 13.79, far from her best form, but she is only in her fifth week of final training stage towards Athens. In the women's High Jump, 1993 World champion and 1992 Olympic bronze medallist Ioamnet Quintero was third with 1.75. The competition was won by Yarianny Arguelles (1.87). The stadium also witnessed the retirement of 12 Cuban athletics luminaries, led by six Olympians and three national record holders: Magalys Garcia in the Heptathlon (6352), Alberto Sanchez in the Hammer throw (77.78) and Belzys Laza in the Shot Put (20.96). Their marks are still intact. Other retiring athletes are Jorge Luis Aguilera, member of the 4x100 relay team who was third in the 1992 Olympics, 1996 Olympic and 1995 World 110-meter hurdles finalist Erick Batte, 1996 Olympic finalist Alexis Elizalde (Discus), as well as Juan Martinez Brito, one of the 19 men who have ever thrown the Discus 70m or father. His personal best of 70.00 dates back to 1983. 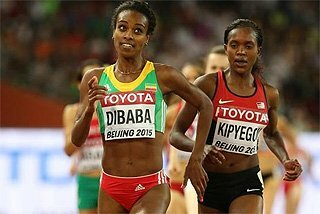 More than 100 doping tests will be taken during the athletics tournament, including all gold and silver medallists. 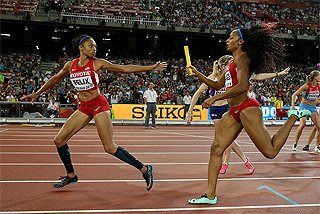 The samples will be analysed by the Anti-doping laboratory in Havana, accredited by the International Olympic Committee last year. A total of 15 finals will be held on the third and final day of the athletics tournament on Sunday (25 April), featuring two-time Hammer World champion Yipsi Moreno and 2000 Sydney Olympic gold medallist Ivan Pedroso, who is expected to make his first outing in Cuba since July 2000.